I have welcomed news that, as part of the Unadopted Footways Upgrade Programme, a number of streets in the West End area will be brought up to good standard and adopted by the City Council over the next year. These include Arnhall Drive, Ancrum Place, Grosvenor Road and Magdalen Place and one new upgraded pavement will also be provided for Whitefauld Road and Middlebank Crescent. These improvements are to be welcomed and will see more of the very poor pavements in the West End finally brought up to standard. Back in 2007, I asked the council to improve funding to tackle this problem of really poor unadopted pavements and this was agreed – an increase from £200 000 per annum to £500 000 per annum. This has made a huge difference in terms of tackling the issue. However, there are a number of important omissions in the West End in the 2013/14 list and I have queried this with the City Engineer. Residents have complained to me that the pay phone box at Magdalen Place is graffitied and some of the glass panels are missing – see right. 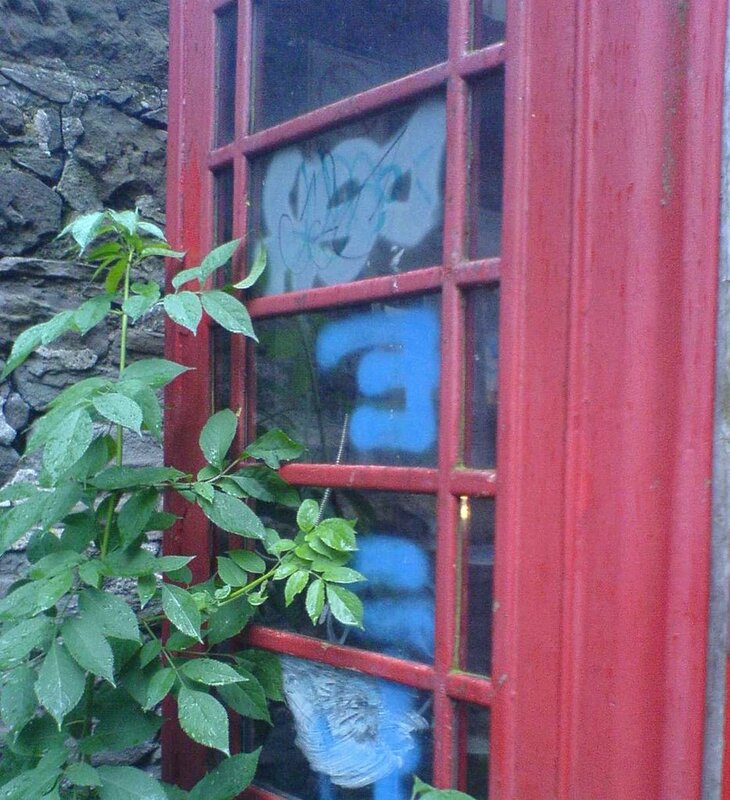 On their behalf, I have contacted BT and requested repairs. The unadopted section is a well-used footway, used by visitors to the nearby Cherry Blossom children’s nursery and local residents use it to get to Roseangle. 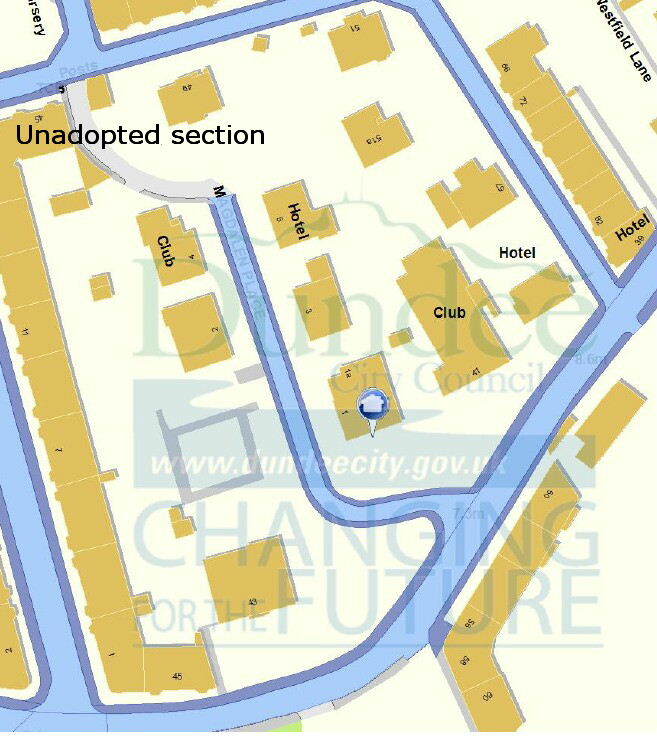 I have asked the City Engineer if it can considered for inclusion into the Unadopted Footways Scheme. As the photo (right) shows, the phone box at the top of Magdalen Place at its junction with Seafield Road is in poor shape. Residents have complained to me about the lack of glass in many of the panels and the general poor condition of the box, including graffiti on it. I have taken up the complaints with British Telecom. It was my local party AGM last night and having got the real business out of the way promptly, we had an enjoyable social evening thereafter. A number of people commented how good the West End Christmas Lights Switch-On was and how nice the tree looks this year. Some time ago (long before this blog started!) a number of West End residents asked me about why there is no bus service to the Gallacher Retail Park – for someone on foot its a fair trek from the City Centre. At that time, City Council officers opened discussions with the retail park owners about this. I’ve now asked for an update. With the success of this retail park and new stores opening (most recently Borders bookstore) it would be good to see buses running there. 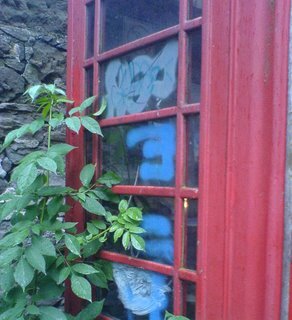 Lastly, you’ll recall from earlier blogs that I have raised with BT several complaints recently about the state of some local phone boxes – Logie Aveue, Magdalen Place – and in Milnbank Road where the box has its door missing – see right. The method of reporting to BT (a form on their website) is less than satisfactory and all you get back is an automated response. Can you update me on position re this? 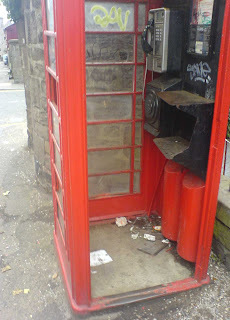 Also, the phone box in Milnbank Road Dundee I reported to you weeks ago is STILL missing its door – can you advise ASAP. Thank you for your e-mail dated the 6th of December, 2006 regarding your recent contact with BT. In response to your e-mail, I would request you to kindly elaborate your query and if it pertains to your BT account, please forward your account number as well. This information is needed for security reasons. In the meantime, I would like to thank you for you patience and cooperation. Your e-mail appears to have been sent without checking the nature of my complaint. 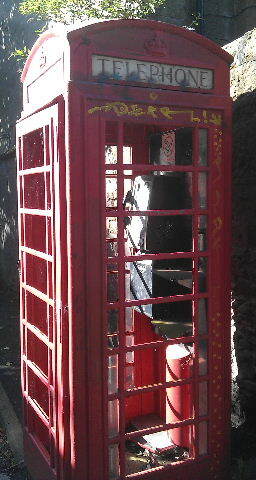 These were in my capacity as a City Councillor and pertain to vandalism/condition of several local phone boxes. They have nothing whatsoever to do with my personal phone account. 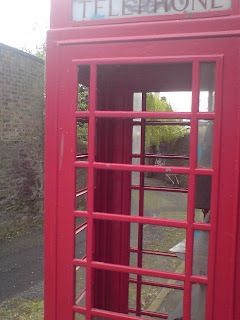 I am particularly concerned that months after raising complaints about a door missing off the phone box in Milnbank Road, Dundee, it remains unrepaired. 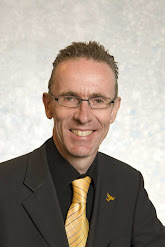 I’d be most grateful if you would advise of the position ASAP – many thanks.